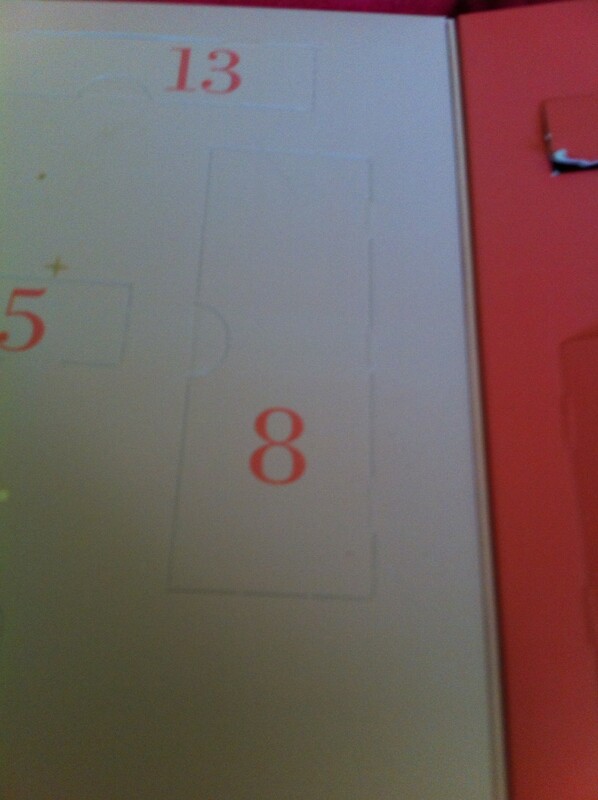 On the 8th day of Christmas. 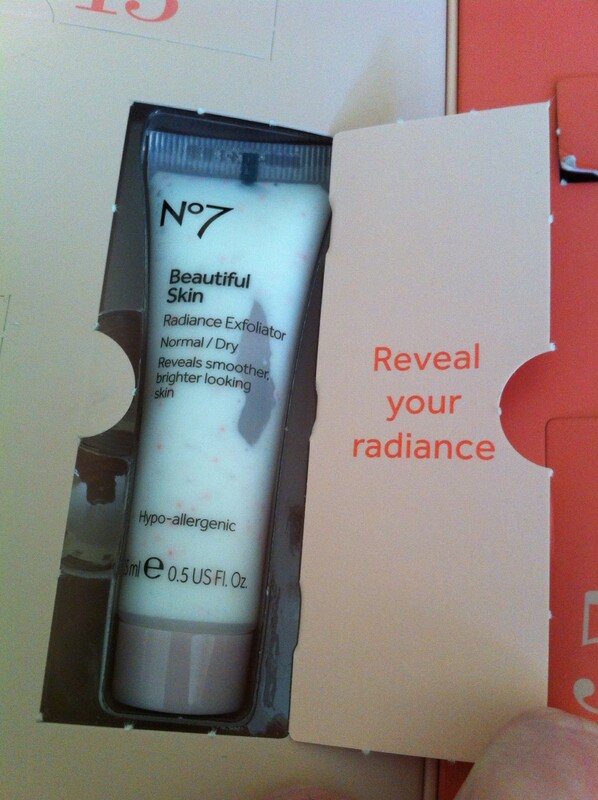 I received radiance exfoliator happy with this can’t complain it is a beauty product looking forward to trying this out. 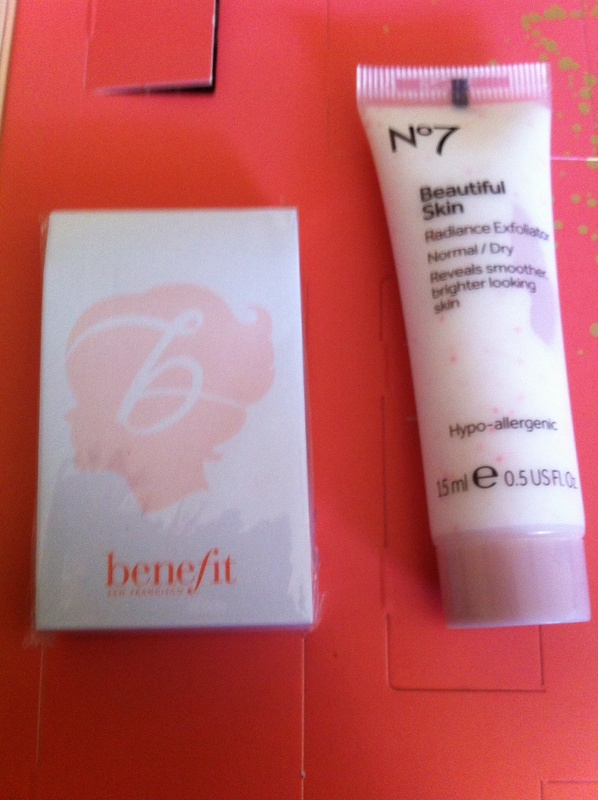 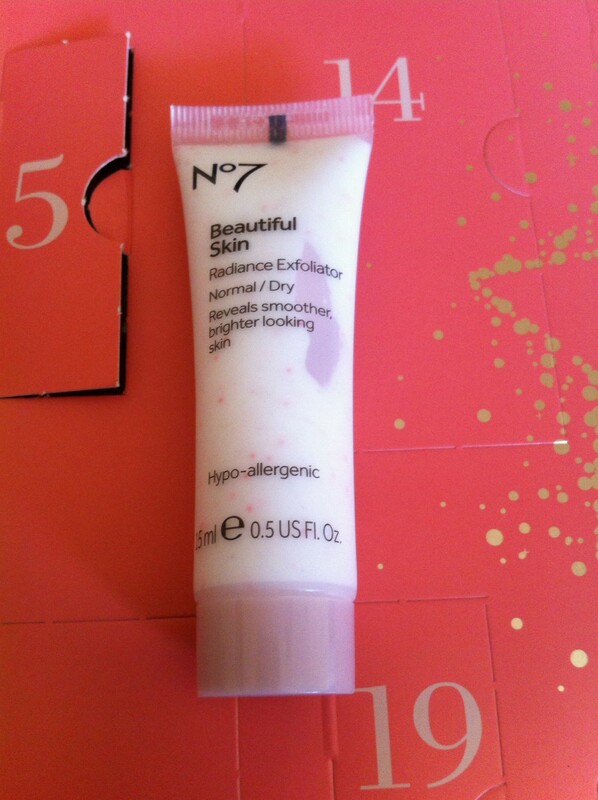 Benefit vs No7 I feel I am insulting no 7 beauty advent calendar to compareing it to benefit pound shop calendar so let’s see post it’s not a beauty item against an exfoliator so of course no 7 wins.